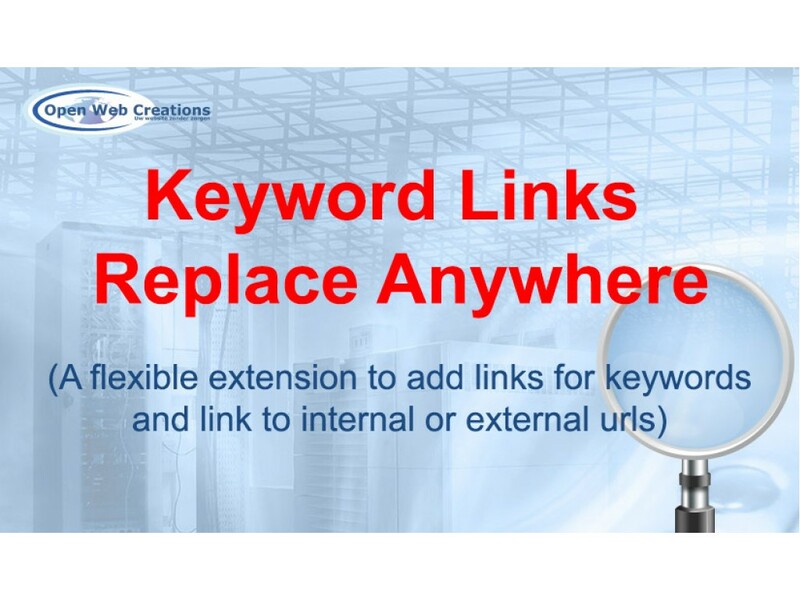 Keyword Links Replace Anywhere is a flexible extension that helps you easily add links for keywords and phrases in OpenCart and link them to any corresponding internal or external url. 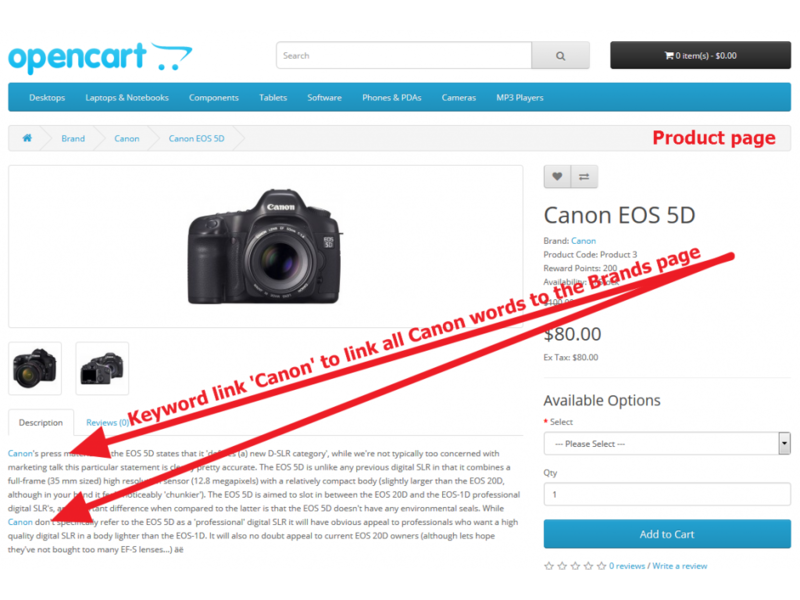 OpenCart originally supports links in its content but setting links for same words in many contents is very time-consuming. That’s why you need a stronger and more dynamic autolink extension. 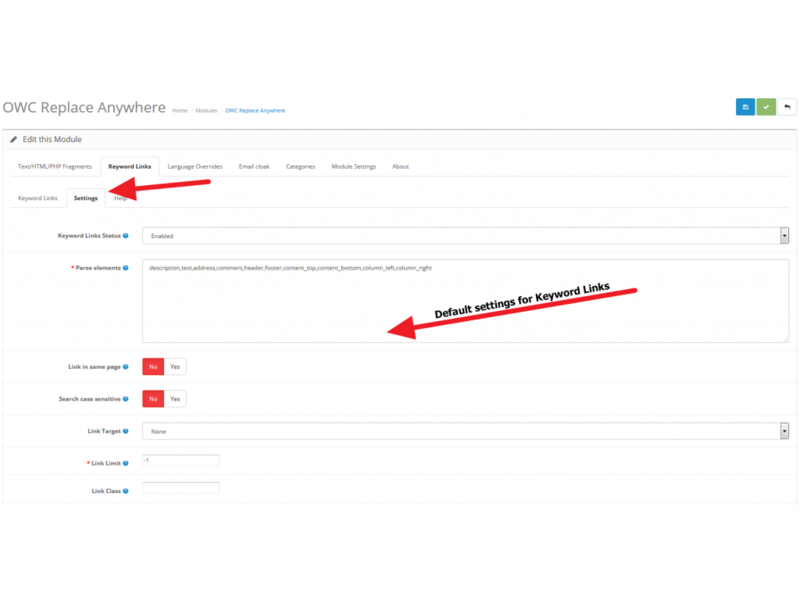 Keyword Links Replace Anywhere provides a very powerful keyword management at OpenCart admin and give you more control over linked words in your website’s content. Plus, using categories also makes keywords easy to manage. Global settings can be set, elements to search for keywords, keyword case sensitive, link follow/nofollow, link target, link class, limit the number of keywords per content item, keyword format and exclude HTML tags. For each new keyword you create it is possible to override the global settings for that particular keyword. Keyword Links Replace Anywhere works on all content (including third party extensions) on you website, like information, category, product and brand pages, forinstance in the description or title elements. 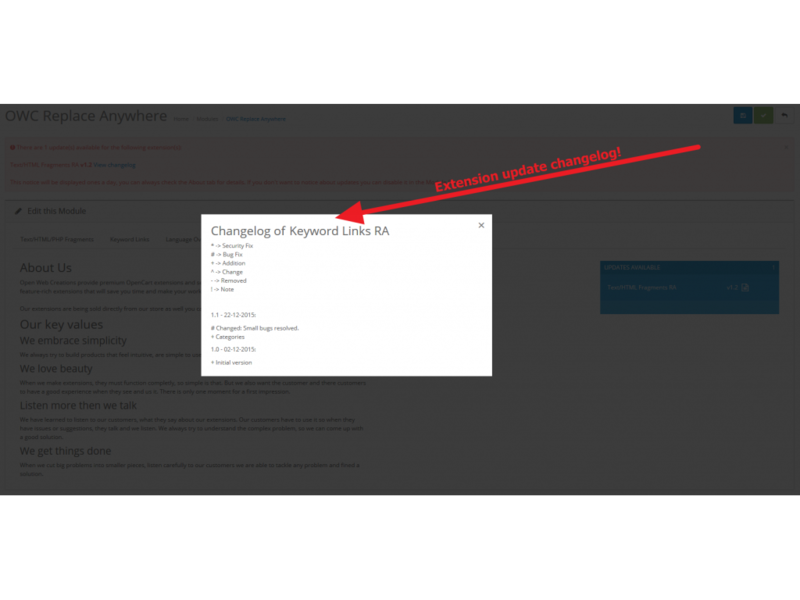 Which element Keyword Links is working on can be changed, and new elements can be added. Keyword Links is not altering the content itself, it generates the links just before the content is displayed, so it is easy to disable a keyword link at any moment. Link all 'contact' keywords, on any page, to the contact page. Link all 'Tems and Conditions' keywords to the 'Term and Comditions' information page. From within information or blog pages, link to a specific product, account or other information pages. On the product page add an extra info icoon for 'Availabillity' status explanation. Compatibility: Keyword Links Replace Anywhere works well in OpenCart version 2.0.0.0 and above. 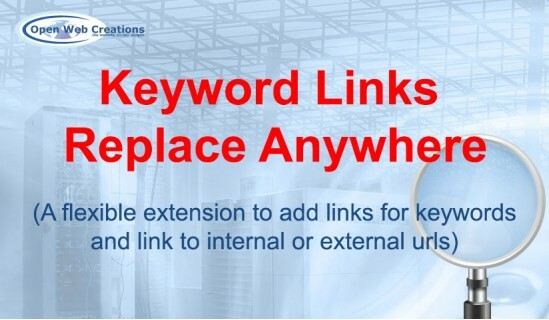 Keywords Management: Keyword Links Replace Anywhere allows you to create unlimited keywords as well as categories. SEO benefit: Keyword Links Replace Anywhere add internal and external links to your content, making your contents more friendly for search engine. The extension also defines DoFollow or NoFollow for each link. Using both links is necessary to build a healthy balance of backlinks on your website. Keyword Definition: The extension defines keywords (keyword phrases) in singular or plural, upper-case or lower-case form. You can limit number of keywords shown per article. Excluded Tags: Sometimes the extension finds tags that you don’t want to show keywords in and these tags can be excluded. Excluded Templates: Sometimes the extension finds elements in sepecific templates that you don’t want to parse and show keywords in and these templates and elements can be excluded. 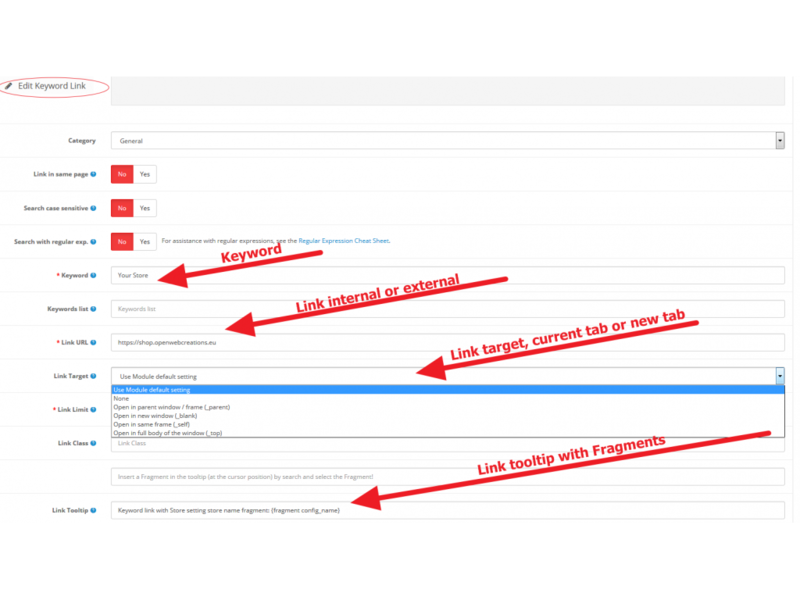 Target Attribute: You can set target attribute for linked keywords. (open in same window, open in new window,...). Custom style: You can insert custom class to links (tooltip, button) or add tag style to keywords when displaying them. Debug with logging: The extension can generate logfiles to help you troubleshooting when you don't get the output you expect. # Bugfix, Regular expression validation correction . 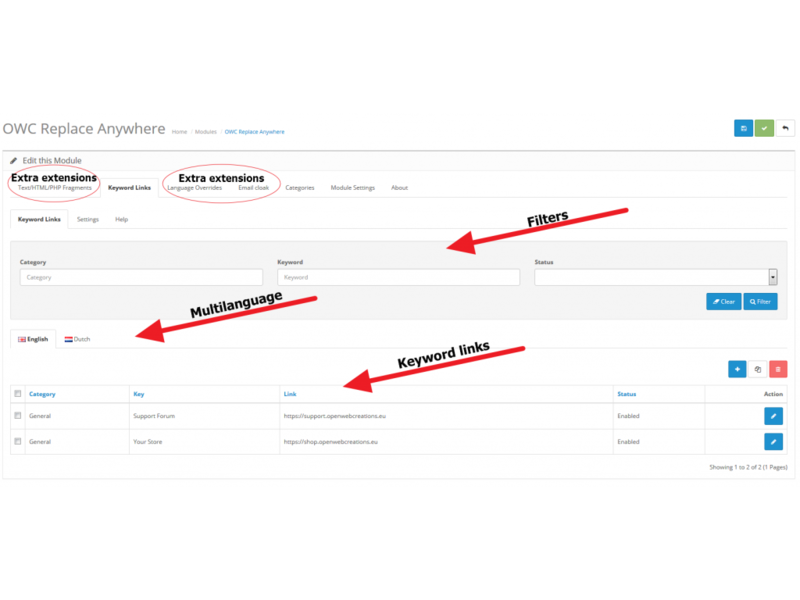 # Fixed parsing of keyword links with multiple keywords list. ^ Link URL length 512 characters. ^ Removed mb_ functions Added support for ajax requests. # Bug Fix: Parsing elements resolved. 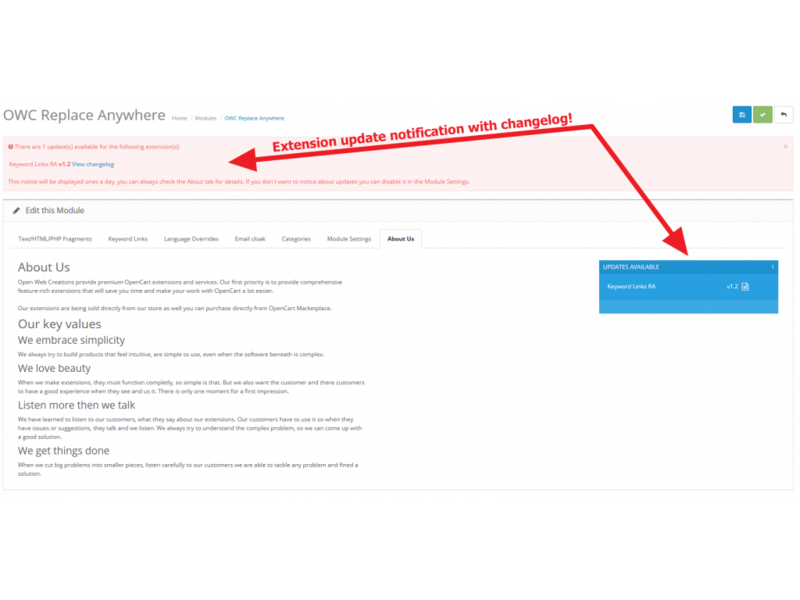 # Changed: Small bugs resolved. 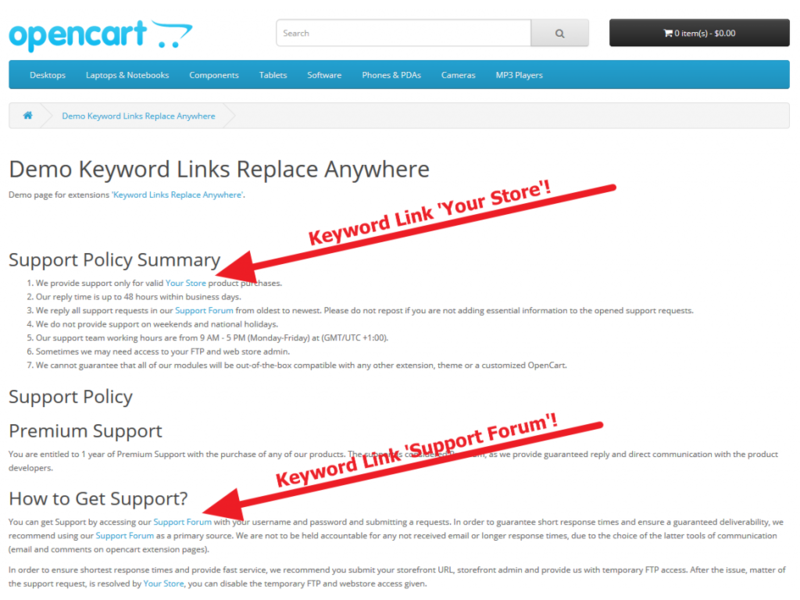 Keyword Links is a flexible extension that helps you easily add links for keywords and phrases in OpenCart and link them to any corresponding internal or external url. OpenCart originally supports links in its content but setting links for same words in many contents is very time-consuming. That’s why you need a stronger and more dynamic autolink extension. Language Override Replace Anywhere is an extension to easily override all language text from the fro..
All In One Manufacturer extension gets the most out of your manufacturers. This extension .. Product Sale and Cost Price extension makes three extra fields available at the admin product p..